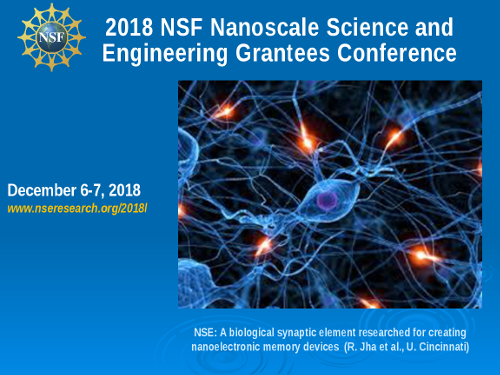 The NSF Nanoscale Science and Engineering (NSE) grantee conference highlights the research and education activities of ongoing NSE grant projects. Roundtable discussions promote new interdisciplinary partnerships and identify future directions for research, education, networking, business interactions, environmental health and safety, and societal impact. These interactions help to advance the goals of NSF (www.nsf.gov/nano), the U.S. National Nanotechnology Initiative (www.nano.gov), and the 21st Century Nanotechnology Research and Development Act.